2018 Mastercraft XT21 Start with one of the best-selling and most versatile performance towboats of all time, the X10. Take whats greatest from it, update everything with the latestand you have MasterCrafts crossover-first XT series, the XT21. Classic styling and a midsize length right in the sweet spot meet cutting-edge performance across every sport. Theres room for 14 to wakeboard, surf, ski, tube and cruise all day, all summer. 2006 Mastercraft X-45 The X-45 combines a vented-step hull for superior performance, an oversized twin-tip bow for increased capacity, a 1000-pound liner ballast system for wake displacement, and a Zero Flex Flyer tower all wrapped up into one 24-foot wave machine designed to make excitement a regular event.The X-45 offers a quiet, stealth performance due to its unique hull design. For starters, it has more deadrise at the bow and stern than any other boat in the MasterCraft product line giving it more big-water capability at cruising speeds. But it also comes devised with a four-terraced chine bottom that improves run surface efficiency at higher speeds and carves deep water troughs at wakeboarding speeds. MasterCraft continues to offer more bow space with an oversized catamaran inspired bow that increases seating and storage capacity while maintaining a deep ?V? entry. The X-45 also has MasterCraft?s X-Pod inspired modular dash display, an oversized removable swim platform, an oversized helm seat, rotating wakeboard racks, JL Audio speakers, and the largest wrap-around interior in its class. Underneath all those seats sits 115 cubic feet of storage space, waiting for boards, skis, vests and anything else in your watersports arsenal. Plus, the X-45, with its graphics package, exudes the same industrial edge that has made the MasterCraft X-Series line the choice of extreme sports fanatics.Some of the X-45?s most unique features include a diamond shaped transom, walk-thru sun pad, scooped billet aluminum vent covers, billet cockpit appointments, aircraft style top lit switches, ballast gauges, and an oversized urethane glove box. 2019 Mastercraft X24 Welcome to the new wave. Born in the lab and made to get rad, this is the X24. It was designed from day one to live squarely in that sweet spot where science meets soul, the surf is better than ever and the wakes are wicked. Featuring the brand new intelligent Switchback ballast tankthe X24 truly makes better waves than anything else in the industry. It serves up cleaner, longer, sharper and bigger waves than any towboat ever before. Grab 17 of your best friends, load it up and get stoked to roll out endless legendary surf on your way to a legendary summer. 2019 Mastercraft XT22 Summers best spent on the water with those who matter mostand the XT22 is here to help you make every summer an all-time summer. With crossover capabilities serving up endless possibilities you can wakeboard, ski and surf on waves made with Gen 2 Surf System and a very healthy 2700 pounds of ballast. At 22 feet, theres plenty of room to bring the whole family and all of their gear so get into an XT22 and get ready to make the legendary family memories that last forever. 2018 Mastercraft XT25 When the party is big and the guest list is long, you need a boat equipped to set it off. Meet the huge and hugely drivable XT25. At 25 feet long, it is nicely equipped. Start the day rolling out massive waves for wakeboarding and surfing. Keep it glassy with some ski runs. And then when the sun gets low, the party gets going. The XT25 is bigbut the party is bigger. Its exactly what you need to serve up summer right this year. 2018 Mastercraft XT22 Summers best spent on the water with those who matter mostand the XT22 is here to help you make every summer an all-time summer. With crossover capabilities serving up endless possibilities you can wakeboard, ski and surf on waves made with Gen 2 Surf System and a very healthy 2700 pounds of ballast. At 22 feet, theres plenty of room to bring the whole family and all of their gear so get into an XT22 and get ready to make the legendary family memories that last forever. 2019 Mastercraft NXT22 Bigger, badder and built to be attainable, the NXT22 is where performance, comfort and style meet in a package that won't sink your bank statements. At 22 feet and highly driveable, its got room for more friends and family to wakeboard, ski, tube and surf. Get in and get after it this summer. 2018 Mastercraft X23 The X23 rolls out the longest and most customizable surf wave in the industry. With 3000 pounds of ballast and a super deep hull, it's a clean-up set every time out. Show up for the wave, stay for the 23 feet of spacious on-water living for 15 with storage to spare and a unique, perspective-shifting sundeck. Serve it up and carve it up. 2019 Mastercraft XT23 Live it up and let it fly in the XT23built to bring stoke everywhere it goes, whatever it tows. This is the crossover MasterCraft for a lifestyle that knows no limits. 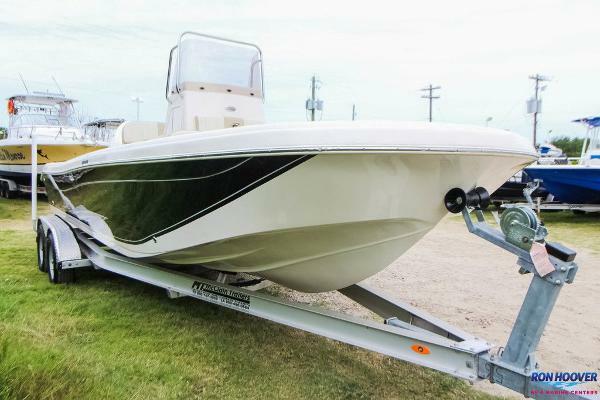 This is where the classic traditional bow meets progressive style lines, wrapped around a completely redesigned hull. Make waves with Gen 2 Surf and a substantial 2600 pounds of ballast, then tow it all using the optional ZFT7 Power Tower. Reliable, rapidly deployed and packed with features like an integrated Bimini top, board racks and gorgeous speaker cans. Prevailing offshore breeze powered by the next generation of Ilmor engines. For the win, the XT23 features the legendary MasterCraft fit and finish. Plush comfort and a flexible, ultra-functional seating layout with industry-leading storage and the available DockStar Handling System for easier control in tight spaces.